Lottie is a Trident 24 class, sail number 184. This log tells the story of Lottie‘s beginnings and the rolling refit she has undergone in our ownership since 2003. You can follow her story and refit by clicking on the various black buttons above or the subjects in the index on the right. 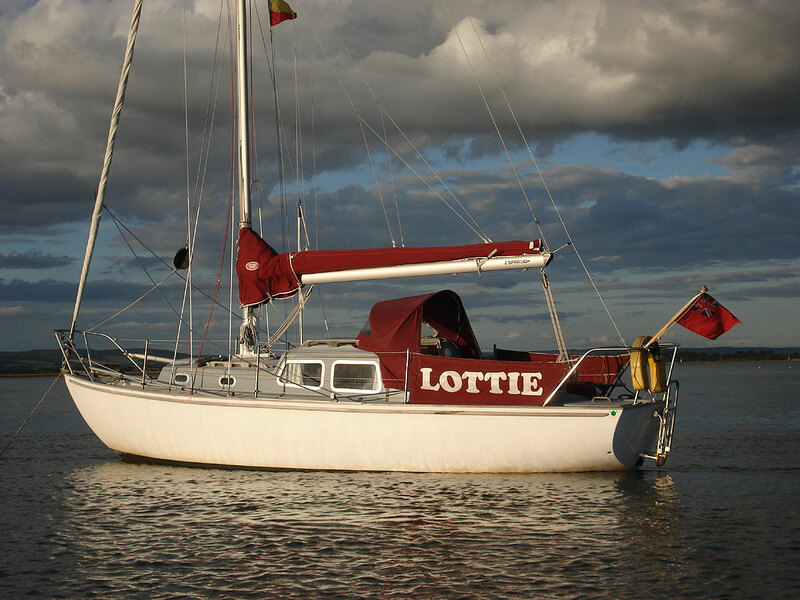 Lottie is a triple keeler and is normally kept on a half-tide swinging mooring in Chichester Harbour. She is now a masthead sloop with a Beta 14hp diesel auxiliary engine. She was formerly known as Stella Maris and had a seven-eighths rig and has previously had a Vire 6 two-stroke and a Bukh 10hp diesel. See her history here. She was moulded in 1970 by Marine Construction at Woolston in Southampton.